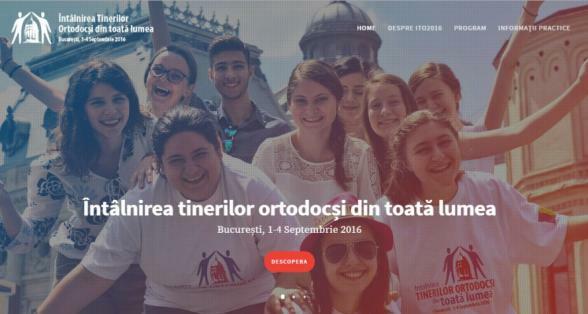 Christian Orthodox young people from around the world will gather in Bucharest, September 1 - 4, in a convention blessed by the Saint Synod of the Romanian Christian Orthodox Church, to be organised by the Bucharest Archbishopric and the Romanian Patriarchate. According to the basilica.ro website, the Press Office of the Romanian Patriarchate says in a press statement that expected to attend are 2,500 young people aged between 16 and 35 years from all the eparchies of the Romanian Patriarchate as well as officials of other sister churches. Early on September 2 and 3, the attendees are invited to take part in two workshops discussing the importance and activities of the youth in the church that will be hosted by schools in Bucharest City. On September 3 in the evening, the Palace Hall will host a conference called “Jesus Christ, the joy of life,” followed by a procession of lights from the Palace Hall to the Patriarchal Cathedral via Victoriei Road and Splaiul Independentei. On September 4, the last day of the convention, the young people will take part in a church service to be provided by Patriarch Daniel and hierarchs, priests and deacons before the Nation’s Salvation Cathedral. At the end of the service, Daniel will address the attendees and the baton of the event will be passed to the Iasi Archbishopric for the next convention of Christian Orthodox young people. The convention is organised in partnership with the State Secretariat for Church Affairs, the Bucharest General Mayoralty, the mayor’s offices of Bucharest City’s districts 1, 2, 3, 5 and 6, the Polytechnics University of Bucharest, the Bucharest City General School Inspectorate and the Basilica Press Centre of the Romanian Patriarchate.